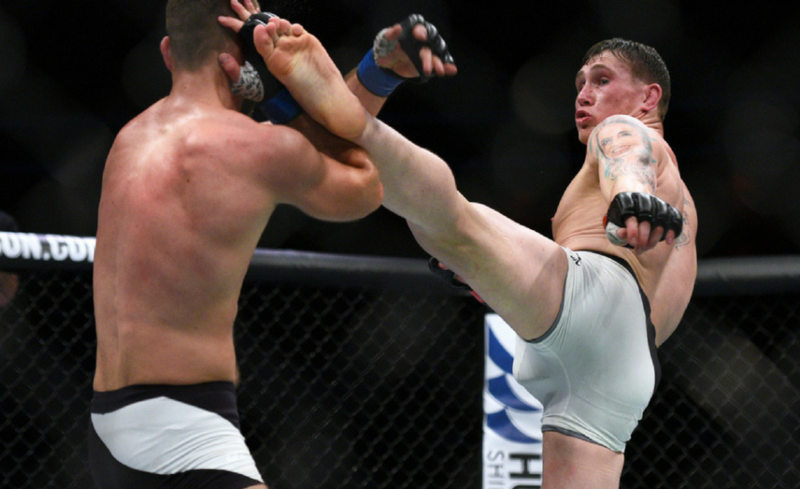 Drew Dober scored a unanimous decision victory against Frank Camacho at UFC on FOX 27. 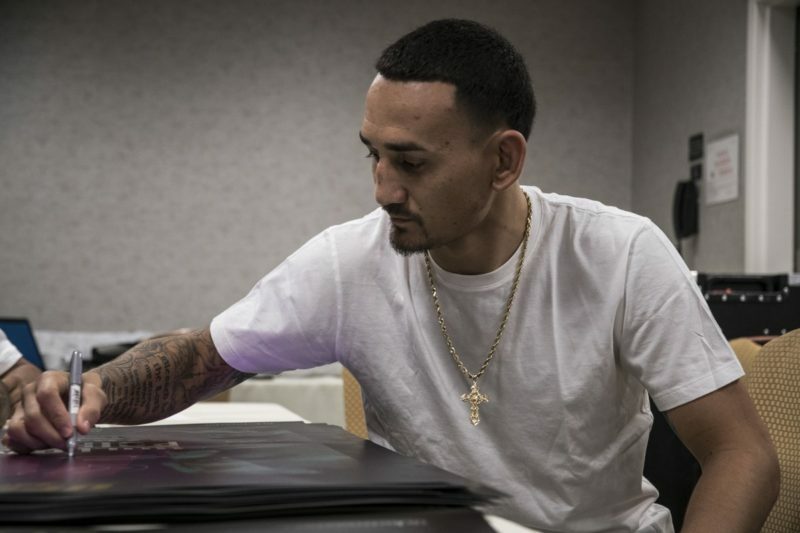 Many fans had anticipated this battle to be a contender for “Fight of the Night” considering that Camacho had received the award in each of his two fights with the organization, and the two didn’t let the fans in Charlotte down. 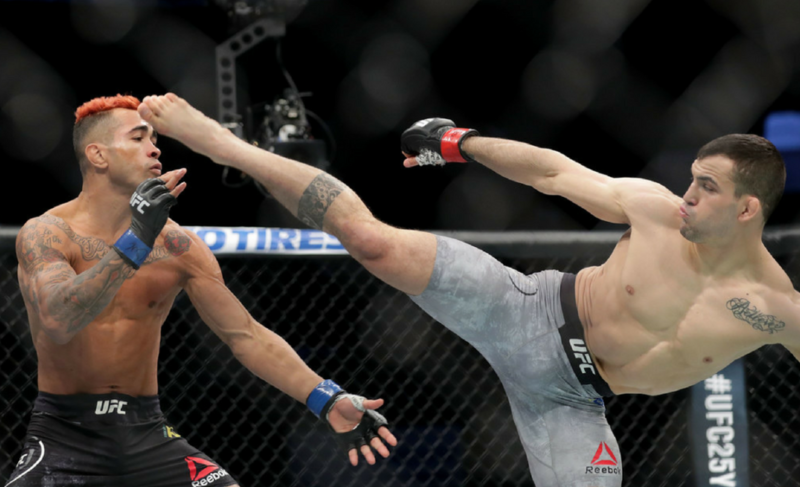 But what might have looked like a brawl to many fans, was actually a fight filled with many beautiful technical elements of martial arts. 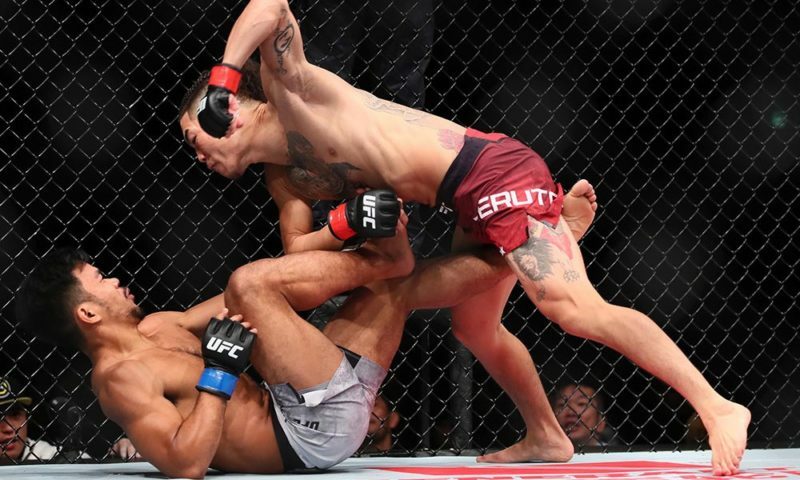 The story of this fight was that Frank Camacho was winning the strategic war, but wasn’t able to back up his technical advantages because of fatigue. In particular, Camacho was having tremendous success in reading the shots of Dober and returning with excellent strikes of his own. An example of this was his ability to slip to the right and avoid the straight left hand of a southpaw opponent before ripping a right uppercut to the body. 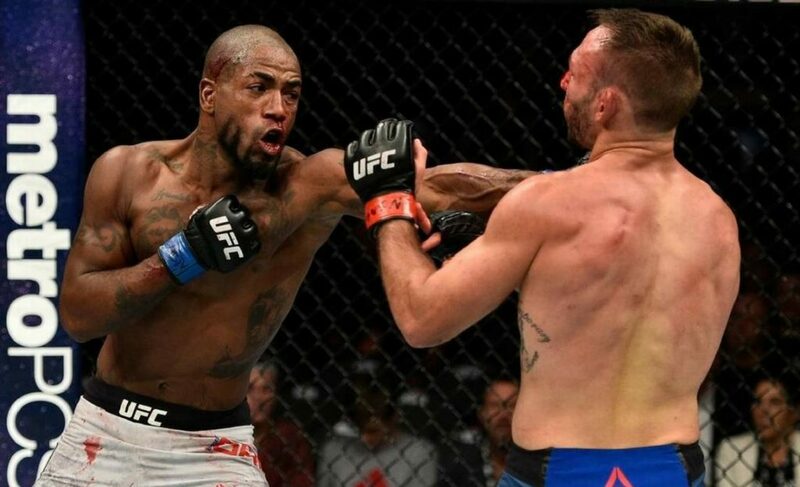 Another technical advantage that Camacho had over Dober throughout this fight was the use of underhooks in clinch warfare. Dober failed all six of his takedown attempts in this bout because Camacho would immediately dig underhooks as he shot in for a takedown. From this position, he could easily out-muscle Dober and throw him around. Camacho also used this position to set up trip takedowns of his own. He succeeded on all three takedown attempts over the course of the fight. How did Drew Dober win? 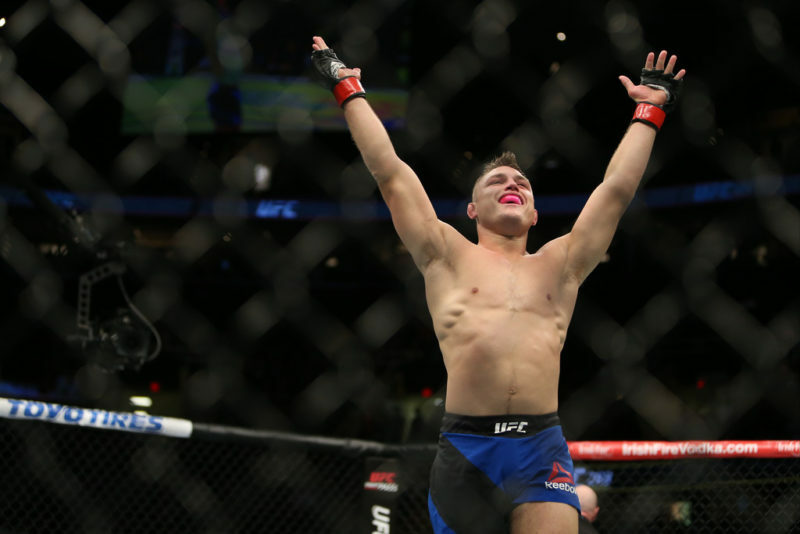 Simply, Frank Camacho had no answer for Drew Dober once the second round had commenced. When Camacho fatigued, he still experienced some success because of his strategic advantages, but it allowed Dober to really connect with shots of his own. Camacho, who usually relies on head movement more than any other defensive technique was lacking the ability to explosively move his head out of the way of punches. As a result, Dober repeatedly landed cleanly with straight punches and the jab worked exceptionally well for Dober during round two. The key to Dober’s victory, though, was winning round three. 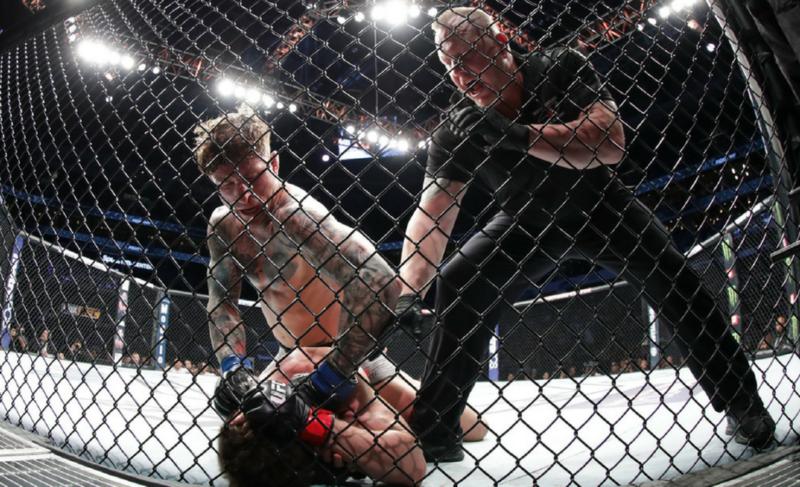 All three judges scored the final round for Dober and eventually saw him winning the fight, but many media members and fans saw it going the other way. 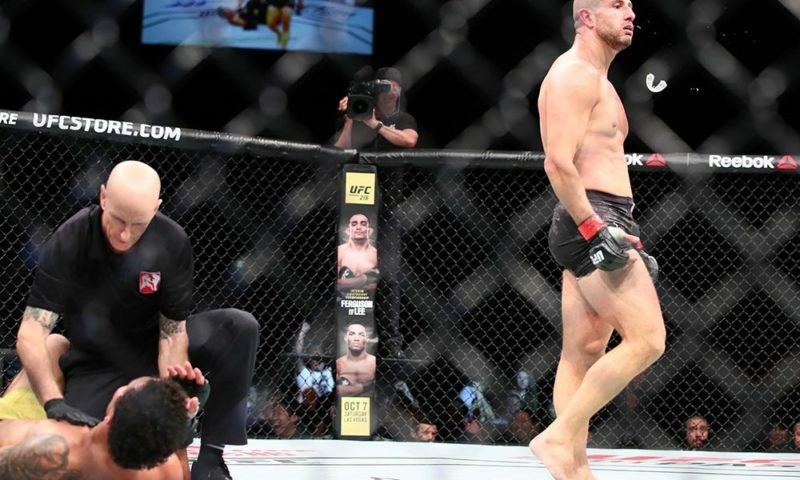 A pivotal moment in the round was Camacho’s takedown – the only takedown of the round – however, there was no impact (damage) as a result. 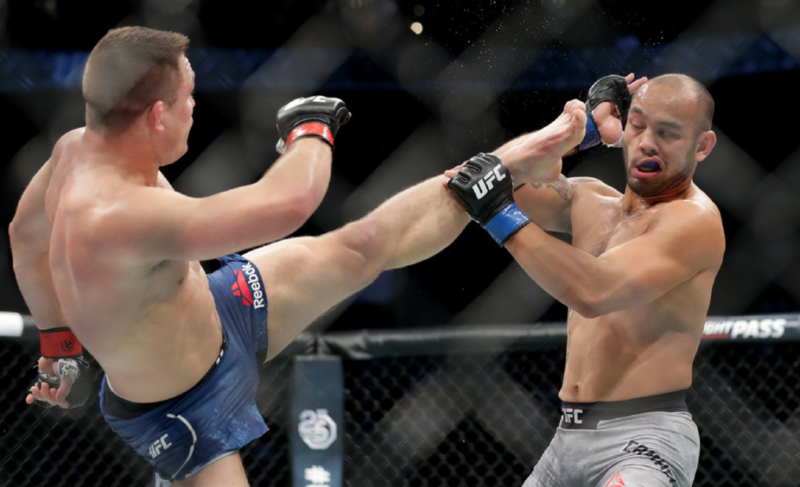 The stand-up exchanges were confusing at times, too, because Camacho was the one storming forward toward his opponent despite clearly not having the same explosiveness as he did in the first round. Because of this, he was still attempting the same quantity of strikes, but they didn’t have the same level of impact as Dober’s. 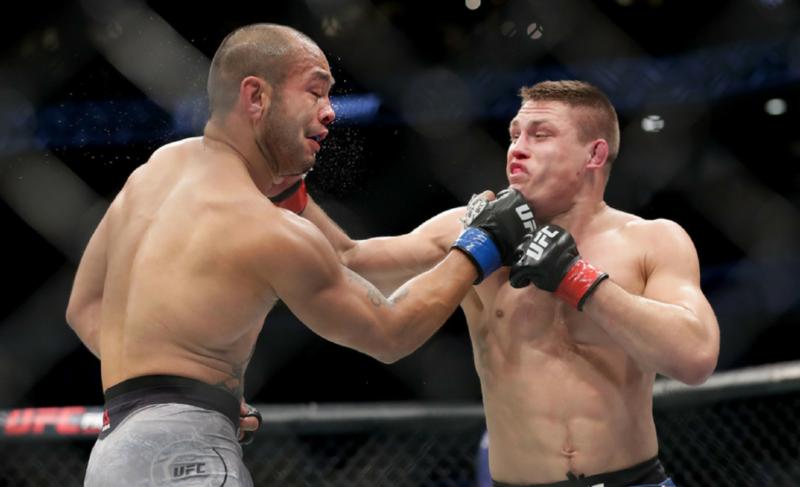 The statistics from round three indicate that despite attempting more strikes, Dober connected less than Camacho. Weirdly enough, it did seem like a round that could have been scored either way, but the judges unanimously voted for Dober.